What does value pricing mean in the pharmaceutical industry? How will value pricing work in the pharmaceutical marketplace? Value-based pricing (also known as value optimized pricing) is a pricing strategy that sets prices based primarily on the perceived value of a product or service to the consumer, rather than according to the cost of that product or service, according to Wikipedia. 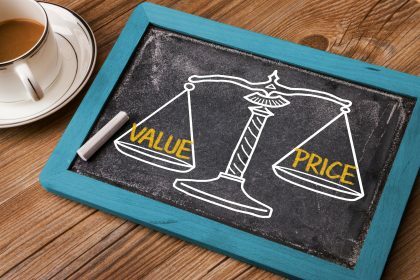 When a value-pricing tactic is successfully implemented, it improves profitability by generating higher prices without really impacting sales volumes. In other words, a manufacturer of a good or service allows the market to tell it what a fair price is for that good or service. This type of model is most often seen in markets in which the majority of sales are made based on emotion, such as in the fashion, artwork and entertainment industries – and, at the top of that list, pharmaceuticals. Pharmaceutical sales are based disproportionately on need. There is no stronger emotional buying driver than pain. In the pharma business, you’re quite literally dealing with a product that dictates the difference between life and death. What does value pricing mean in pharmaceuticals? With value pricing comes certain guarantees offered to the consumer, which can present a significant risk to a company. Ultimately, by turning to a value-pricing model, the manufacturer is essentially guaranteeing a successful clinical outcome, “or your money back.” And to the consumer, this might sound great! First, would this mean the consumer (hospital, insurance company or the patient) is not obligated to cover any of the drug costs on a failed clinical outcome? Would they get all of their money back, or just some? Would the physician still receive his fee given that he had to provide his professional insight, expertise and time, or would he not be entitled to any compensation since the “value” of the procedure wasn’t realized due to a failed outcome? What about the pharmacy and suppliers? It stands to reason that the pharmacies won’t want to give up their fees and that the suppliers won’t either. In the end, what could be exposed in this value pricing model is not only the actual cost of the pharmaceutical product to the patient, but also the other fees and costs associated with treatment. Second, doctors and suppliers may not want patients and/or payers to know the true cost of a product. Perhaps this is one of the more subtle (or not so subtle) aims of the manufacturers. While only $.06 of every healthcare dollar spent is driven by drug costs, the price the consumer ultimately pays for the drug is driven up substantially as it moves through the supply chain. After adding in the average wholesaler markup, pharmacy pricing, managed market rebates, and doctor and hospital fees, the pricing for treatment becomes extensive. And finally, like any fiscally responsible for-profit business, manufacturers must consider their profit margins, as they have a duty to their shareholders, who have entrusted them with their hard earned money. To ensure a profitable outcome in a value-pricing model, a company needs to be incredibly confident that their treatment is going to work. This means that they must have complete faith that their clinical trials have been built correctly. As it is, clinical trials are conducted with very tight controls – the exclusion criteria for patients in a given trial is not always matched well with the real world. For example, many trials exclude smokers. In the real world, a lot of people smoke and don’t always disclose this fact to their doctors. That poses a real vulnerability when billions of dollars are spent over the development cycle of a drug. So, how much money is a company willing to put at risk for a commercial product to gain initial traction, to preserve the life of a product, or to gain goodwill in a market before they cross over the line to “too much”? Every company will have to define what its walk away value is going to be. The question that companies need to answer is whether they have enough faith in their study data to guarantee a positive outcome for the patients being treated in the real world. That, in turn, begs the question: What actually qualifies as a successful clinical outcome? How long does the outcome have to last? Who defines this outcome? Do clinicians drive the decision on what worked and what didn’t, or does the manufacturer? Both sides have several conflicting interests in this equation. A doctor might believe an outcome is unsuccessful if a patient doesn’t experience the same result seen in the clinical trial. Conversely, the company may say that the patient was not appropriately qualified to utilize their product (a closet smoker, for example) and thus the standard outcome was not to be expected. What happens then? Is there an independent arbitrator who can make the final decision in these types of situations, and if so, who will that arbitrator be? One must then define the appropriate patient for a particular treatment. Do only “on-label” patients qualify? What happens when there is a contraindication in a patient that was unknown at the time of prescription, or if the clinician felt that the potential benefit was greater than the risk of a poor outcome? Is there a shared risk between the company, the clinician, and payer or patient? How will value pricing be implemented? The only fair and appropriate way to base pricing on value is to utilize the clinical trial protocols. Companies will need to take a full-scale approach to designing and implementing these protocols. This means that medical, legal, regulatory, marketing and sales teams will need to work closely together. Currently, there are often firewalls between the medical and marketing teams at many pharmaceutical companies. These firewalls will need to be breached or else the program goals will be misaligned, and predictable patient outcomes will not be certain. At the same time, clinicians and payers will have to agree to specific measurements that qualify for the patient value pricing guarantee. Many companies are starting to launch products with the value pricing approach to drive a fast uptake at product launch and to build goodwill in the market for expensive products. Time will tell if value pricing accomplishes both of these objectives. In the meantime, pharma companies will have to ensure that their overall profits are not only stable, but growing in spite of the value pricing discounts needed, to keep shareholders happy and to avoid shareholder lawsuits. The bottom line is, there’s a whole lot of thought and analysis that needs to go into the structuring of a value-pricing scheme. First and foremost, the one question that must be answered: Is there enough emotion in the healthcare business to drive the desired outcomes of the pharma companies in this value pricing game? The recent trends in the industry seem to suggest so, but it is up to your individual strategic and commercialization teams to determine the worth – and assess the risks – of developing a value pricing strategy for your company.